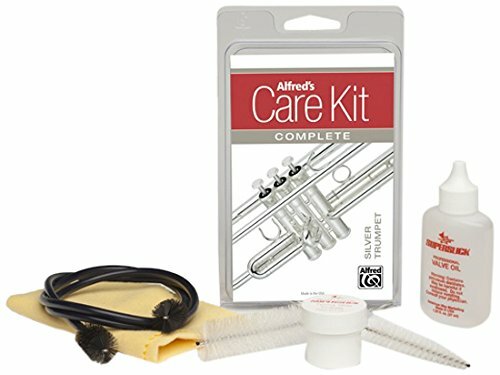 The Silver Trumpet Care Kit assembles everything you need to properly clean and maintain your instrument, featuring the best music-educator-approved cleaning products carefully selected to create one quick and convenient package. Kit includes: treated polish cloth, valve oil, tuning slide grease, vinyl cleaning snake, brass mouthpiece brush, and valve casing brush. If you have any questions about this product by Alfred Music Publishing, contact us by completing and submitting the form below. If you are looking for a specif part number, please include it with your message.